7th Street Detour - Dr. Marlowe's Weight Loss Institute. 411 Billingsley Rd, Suite 104. 7th Street Detour - Dr. Marlowe's Weight Loss Institute. 411 Billingsley Rd, Suite 104. From May 24th (5/24) to Juneteenth (6/19), the intersection of Hawthorne and 7th Street will be closed. If you are coming from Monroe or using Independence Blvd, this should not affect you. However, if you are coming from downtown, you cannot use 7th Street. 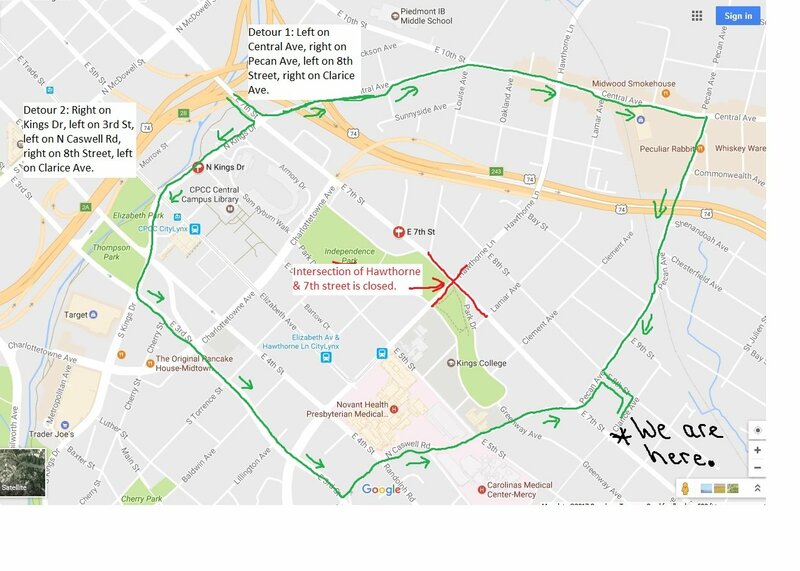 Please see the map below for suggested detours.